But we’d love the club to consider adding a third to our offensive options; someone who can enjoy the same meteoric rise from big potential to genuinely world-class that Mo and Sadio did. His name is Nicholas Pepe. The Ivorian plays for Lille in France and this term, he’s lit up Ligue 1. Not only does he have 16 goals, but he’s registered ten assists to boot. Only Lionel Messi and Eden Hazard in Europe’s biggest leagues have also hit double figures in both categories. What’s more, Pepe isn’t a striker. 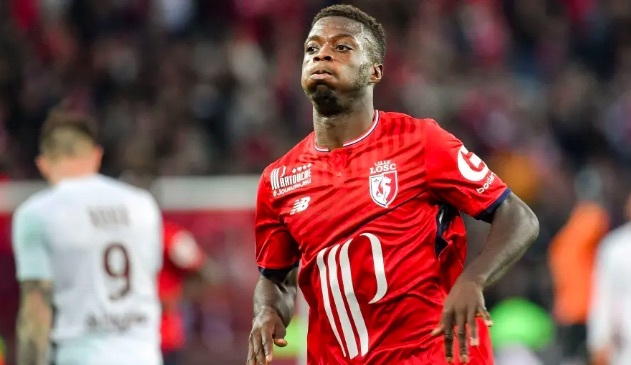 He’s played every game for Lille on the right wing – and aged 23 – he’s going to be targeted by multiple European giants this summer. According to Bleacher Report, there’s a £60m price-tag on his head, which seems fair in the current market, considering his end product and his age. It doesn’t look like Pepe would take much convincing, either. Stylistically, Pepe is perfect. He is rapid, skilful, can get in behind a defence, but also play a key pass for team-mates. When you watch him, there’s a lot of comparisons to Mane in his directness and physicality combined with finesse. He could also feature on either flank in a 4-3-3, with Firmino or Salah central. We have no idea if Liverpool are genuinely keen on Pepe, but we’d be amazed if he hadn’t at least been heavily scouted. For us, this kind of deal makes more sense than a static playmaker – who would only be able to play at no.10, or a centre-forward, who would take Salah or Firmino away from a role they’ve both done exceptionally in.